Umbilical cord prolapse is when, during labor, the umbilical cord comes out of the uterus with or before the presenting part of the baby. 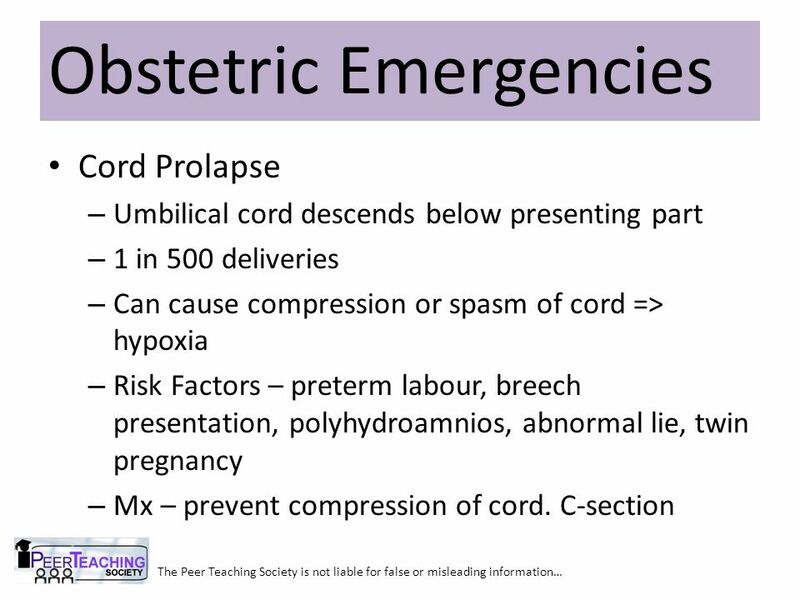 The concern with cord prolapse is that pressure on the cord from the baby will compromising blood flow to the baby. 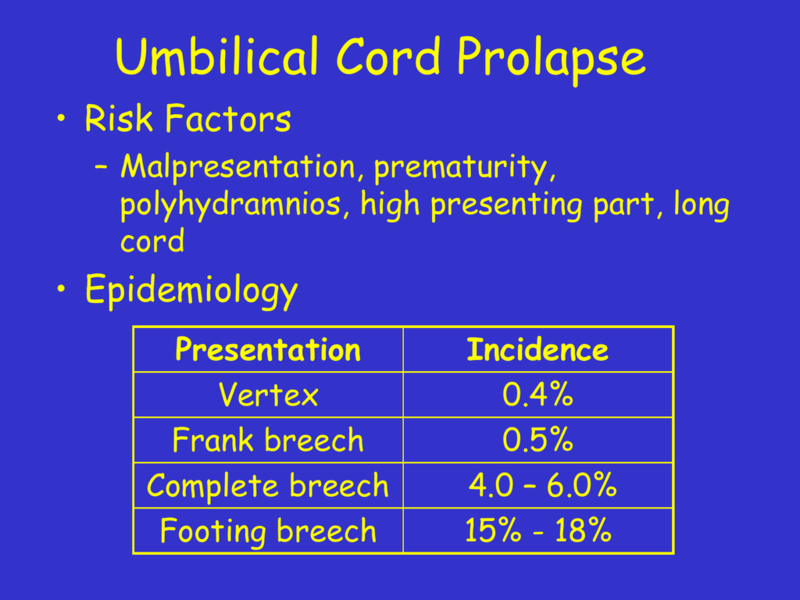 Predisposing factors for cord prolapse include malpresentation or abnormal lie, multiple pregnancy, polyhydramnios, prematurity, placenta previa, long umbilical cord etc. 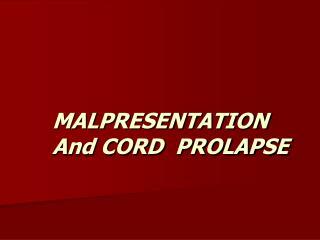 Cord presentation is defined as the presence of the cord below the presenting part with intact membranes.